The FO II series includes has laser output of 2500W, 4000W, and 6000W, and includes two machines - this one and the 4222 NT. The sheet metal material stays still while the head of the laser cuts while moving in the X and Y directions. 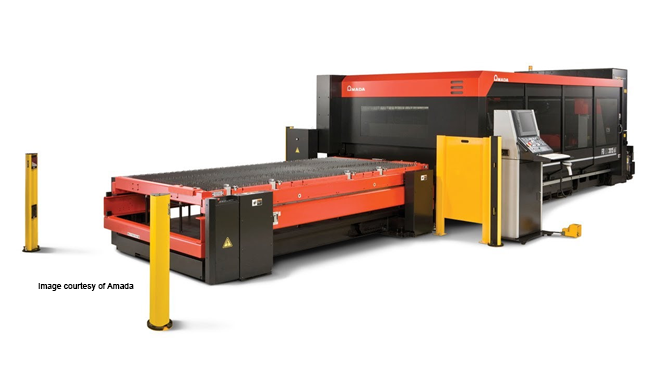 Since the sheet metal is stationary, this laser cutting machine is a great choice whether you use thick metal or thin metal. The CNC software to choose with this laser cutting CNC system is clearly SMP which is developed by Merry Mechanization. At the supply pallet, the optional support rollers help position or clamp the sheet metal against the gauges. The FOMII 3015NT CNC laser machine has a quick change system for the lens and nozzle which enables any necessary setup operations to be handled fast.